Emmy® Nominated Locally Produced Television Series Goes National! BETHLEHEM, Pa. - Oct. 21, 2015 - PRLog -- Roey’s Paintbox – Art is for Everyone, which debuted on PBS39 in March 2014, is receiving national attention. The MidAtlantic Emmy® nominated series will air on dozens of Public Television Broadcasting stations, including, ARKA, (Arkansas), KOOD (Kansas), RSU (Oklahoma) and WPHS (New York). 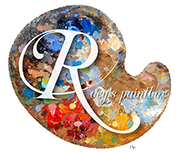 PBS39, ASR Media Productions and Roey’s Paintbox collaborated on the creative arts series. Art instructor, Roey Ebert, helps guide even the most timid beginner step-by-step through the painting process, paying attention to the smallest details within each piece. In the eight episodes, Ms. Ebert introduces artistic vocabulary, concepts and techniques while familiarizing the viewer with different eras and styles in art history - from impressionism and abstract expressionism to pop art and photorealism. Supporting and educating the community is a shared mission between ASR Media, PBS39 and Roey’s Paintbox. Ms. Ebert held painting assemblies at six Lehigh Valley community schools and ten senior centers. DVDs of the art series were created and distributed to Southside Bethlehem schools and United Way Community Schools throughout the area. Roey’s Paintbox was made possible through the generous support of Air Products, St. Luke’s University Health Network, Liberty Property Trust and Alvarez Orthodontics. More information including programming guide and schedule is available at www.wlvt.org and www.roeyspaintboxpbs.com.